This Mother’s Day, we would like to celebrate all women that have embraced the role of mom. From grandmothers to foster mothers, please tell us all about the wonderful woman who raised you. 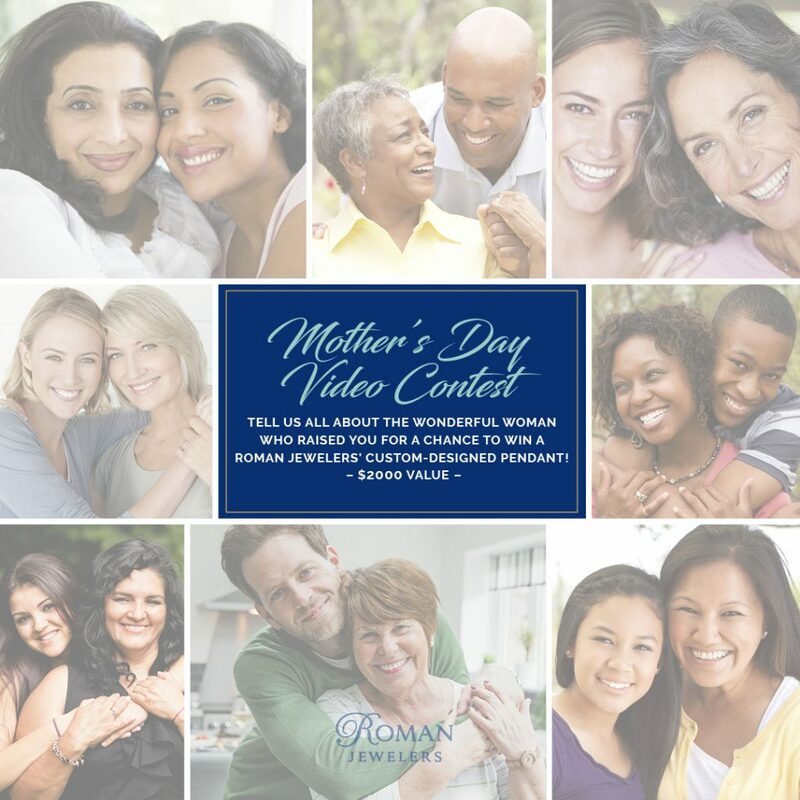 If we select your video, you will win a Roman Jewelers’ custom-designed pendant ($2000 value), that you can present to your mom this Mother’s Day. Option Two:Send video via file sharing sites like Google Drive, Dropbox, etc. By submitting your video to Roman Jewelers, you are confirming that all video participants have given permission. All videos submitted become the property of Roman Jewelers and may be featured in future media, marketing, and advertising. We look forward to receiving your video!